Lactose intolerance causes stomach cramping, gas, diarrhea, discomfort, and other digestive problems. It’s caused when the body doesn’t make enough of the enzyme lactase. This means that lactose can’t be broken down into sugars in the small intestine and instead passes into the large intestine where bacteria ferment into gas and acids. This produces those very uncomfortable side-effects. How can you tell if your child is lactose intolerant? If after eating milk or dairy products your child experiences cramping, gas, diarrhea, or other uncomfortable tummy problems, then they are probably lactose intolerant. 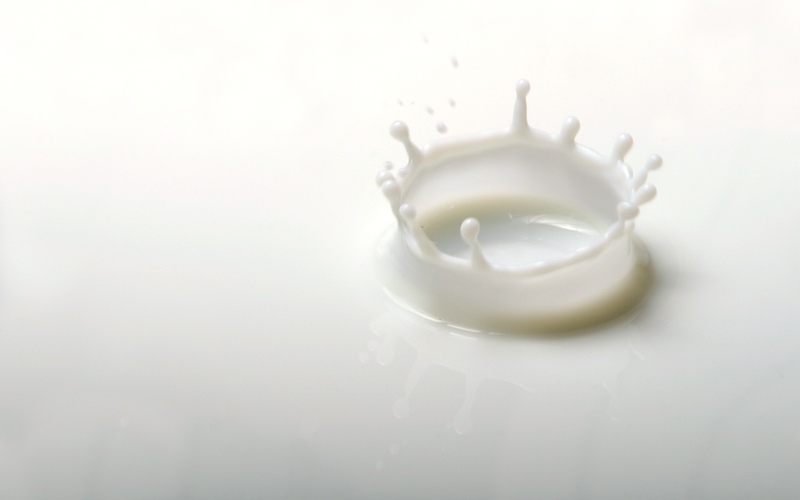 Lactose intolerance can vary in severity, but any stomach problems after consuming dairy products is usually a good sign of lactose intolerance. If you’re still not sure or want to be positive it’s lactose intolerance and not something else, your doctor can perform a quick and simple test to find out. The doctor will have your child blow into a tube to give a sample of their breath. Then they’ll drink a lactose solution or eat something containing lactose and give another sample of their breath. If your child is lactose intolerant the test will show that there is a higher than average level of methane and hydrogen in the breath after eating lactose. What can you do if your child is lactose intolerant? Lactose intolerance is very common in children and adults and rarely dangerous. Every person is unique though and the severity of the lactose intolerance will vary from child to child. Some may not be able to eat any dairy products all while some just need to take dairy in small quantities. Since dairy may be off limits, it’s important that your lactose intolerant child is still getting enough calcium. Thankfully there are many other foods out there that contain calcium besides a glass of milk. Broccoli, salmon, almonds, and orange juice to name a few. There are also healthy milk alternatives so don’t worry about giving up quick and tasty cereal in the morning all together. Soy milk is the most popular option, but there’s also almond milk, rice milk, and even lactose-free cow milk. Even if your child is lactose intolerant that are many other calcium-rich foods and a variety of non-lactose milk options. Having lactose intolerance does not mean your child still cannot be healthy and happy!